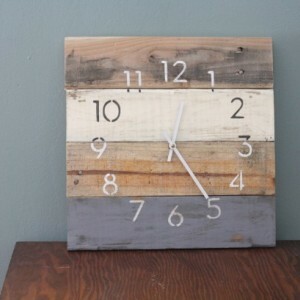 Modern Beach house clock. 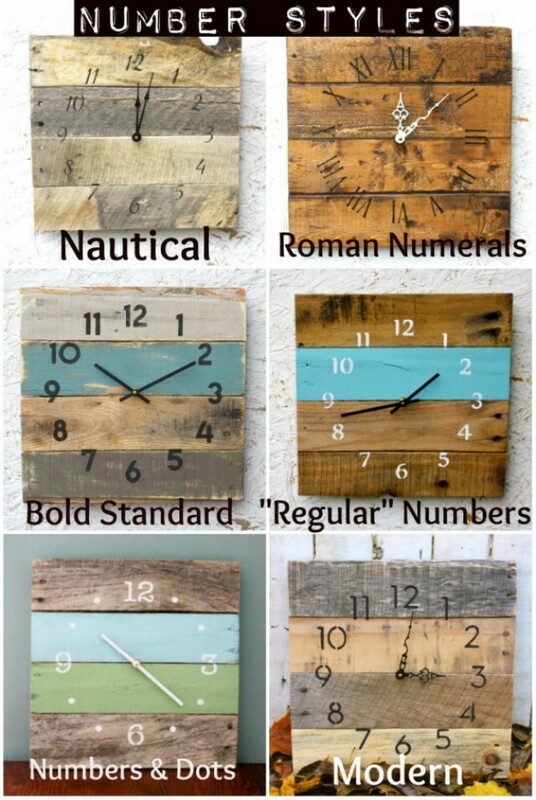 MODERN Numbers. 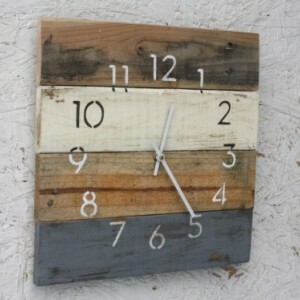 Rustic Yet Hip. 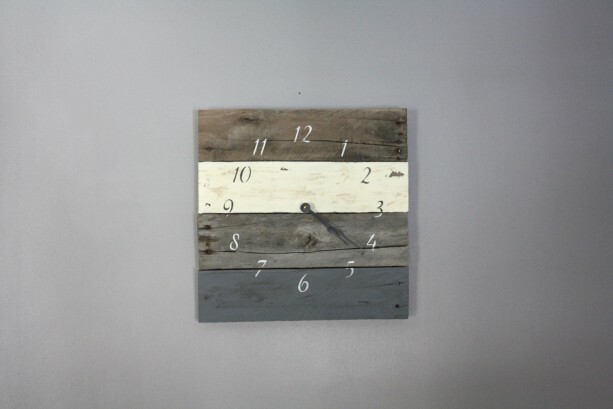 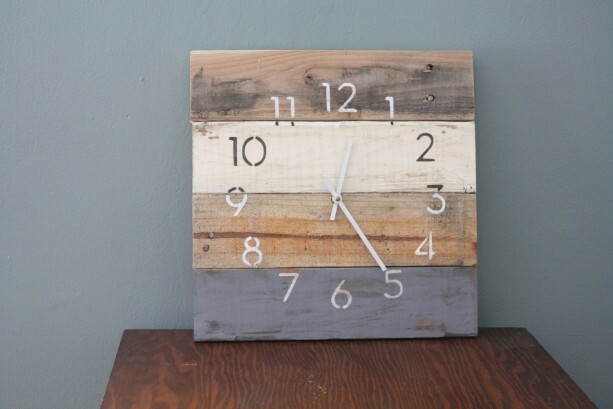 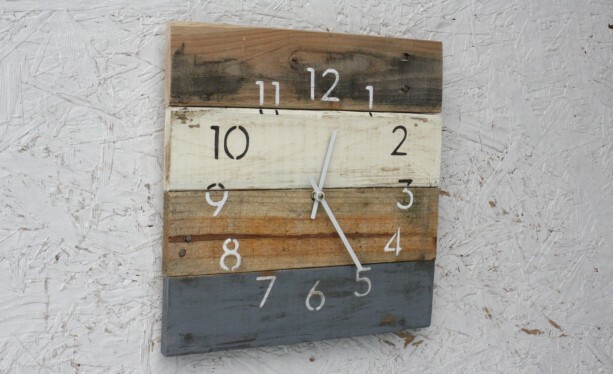 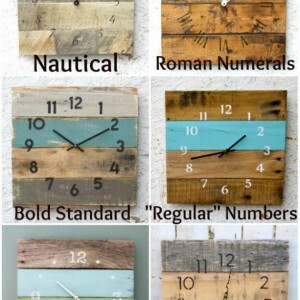 Recycled, Reclaimed, Repurposed Pallet Wood Wall Clock. 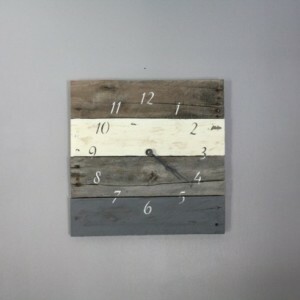 Custom Color.